This course helps you to Master the Art of Tarot Reading and become a Professional Tarot Reader. This course is different because you will learn to develop a deep relationship with the card as individuals and in combinations, along with your innate intuition. Everyone is born with an intuition and you can develop yours! 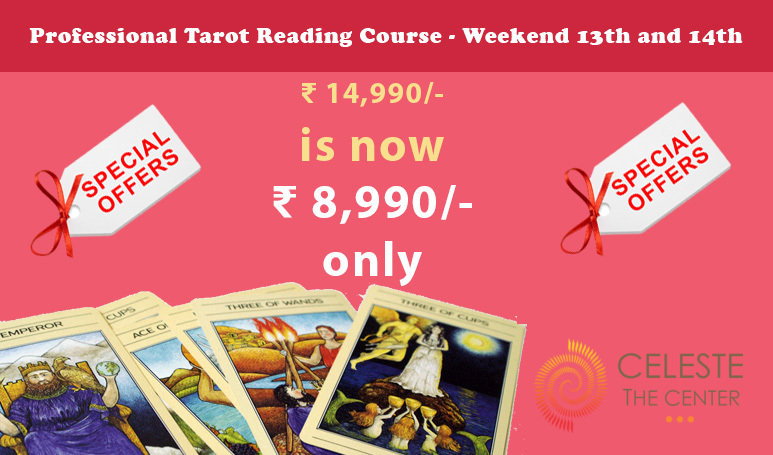 The course is facilitated by Tarot Card reader and Life Coach Manju Mohinani Patil., who has over 20 years of experience with the tarot. Divination is a way of seeking to know future potential or the hidden significance in situations from love to career to health to money — basically everything that makes up our lives. Tarot cards are known as ‘wisdom cards’, used in fortune- telling, guidance and healing. Tarot Card reading is used in examining and predicting likely opportunities, challenges and options. Tarot reading is not only about singling out problems but also assisting individuals to arrive at solutions which can abet their problems and provide alternatives as well. Be it family, relationships, finance, travel, career, or spiritual space, Tarot covers everything. If there is need for help, guidance, understanding and insight, then a Tarot reading is the right choice for you. Tarot can help you narrow down your choices and assess what would be the best course of action for you. Tarot will be a trusted companion through the twists and turns of life. It can be said that tarot is useful in helping one tap into one’s mind to find answers that one might never consciously think of. Learn to do readings for yourself and others. Be sure of the choices that you need to take in life by asking the cards and getting the right nudge in the right direction. Make decisions in your life with clarity. Answer questions on love, career, finance, health and relationships. Even earn your income from tarot. You can easily do your own readings and work your way out of any solution and circumstance. Interpretation of each card in the Tarot Card. Meaning of each card up right and reverse. 4 basic and 4 intensive spread. How to prepare for reading. Connect with your tarot cards. Note: As with every new thing that you learn in life, the more you practice the better you get! Manju is an acclaimed tarot reader, with clients all over the world, have provided guidance to her clients on key issues of their lives. Manju is a well-known name among celebrities, industrialists and leading corporate houses. She has been featured in many publications including New Women (9 years she has been doing the Tarot forecast), Economic Times, Bliss Equity for corporates and many more. She has recently won the WOW awards. 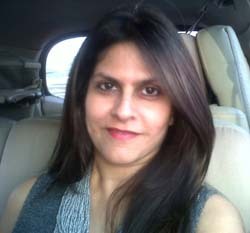 She has conducted a number of tarot card classes in Mumbai and is an expert with over 15 years of experience. 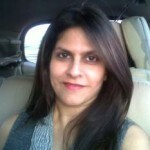 She has also conducted Tarot Readings and workshops across India and also in UK, Hong Kong guiding, training people to be professional readers and healers. She is also the curator of annually held, Yantra the Mystic Fair.